ICARIDIN <br /> REPELLENTS — . 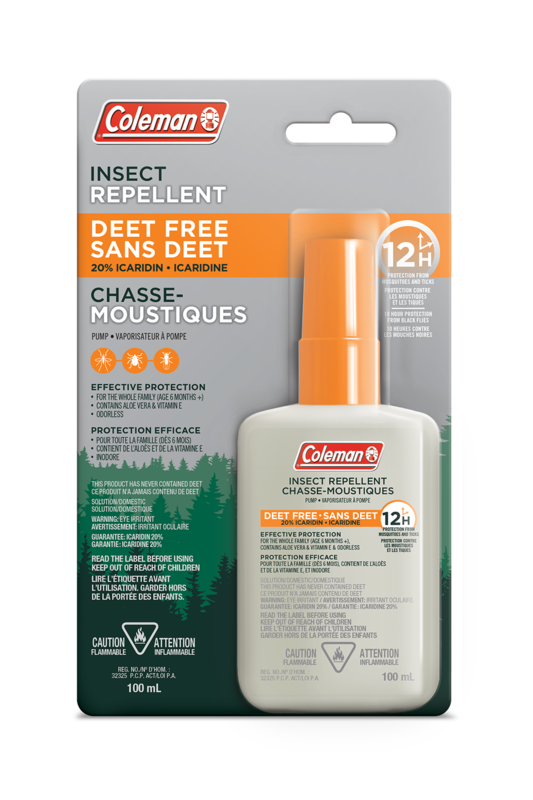 Welcome back to the Great Canadian Outdoors, made better with Coleman Repellents and Accessories. Proven results: 12 Hour effective protection from Mosquitoes and Ticks. 10 Hour Effective protection from Black flies. 12 Hour effective protection from Mosquitoes and Ticks. 10 Hour effective protection from Black Flies. Proven Results. Registered by Health Canada for use indicated on the label and can be used safely when label directions are followed. Health Canada does not recommend, promote or endorse any product.